Java access modifiers help structure your program to have proper scoping. Learn the differences between the keywords public, protected, and private, and how you can use them cleanly and effectively. This tutorial will help to clarify some of the examples of one of the previous tutorials, Java inheritance. Public is the most well known of the Java keywords. 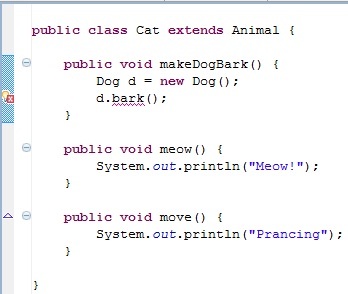 Public is also the easiest of the Java access modifiers because of its nature. 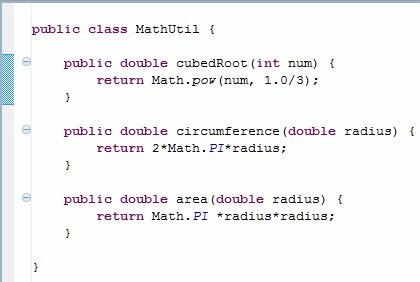 A variable or method that is public means that any class can access it. This is useful for when the variable should be accessible by your entire application. Usually common routines and variables that need to be shared everywhere are declared public. 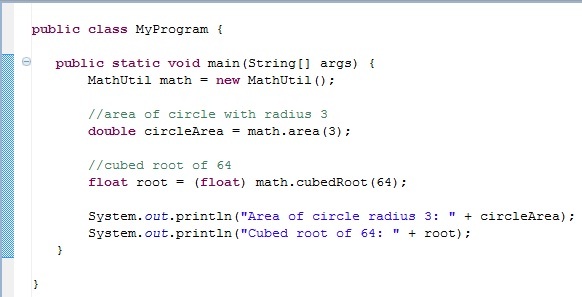 Here's an example of a MathUtil class that has common math routines and variables. Java's public access modifier is the least protective of the modifiers, and should be used only when you absolutely know that you want anything and everything to be allowed access to the methods and variables. 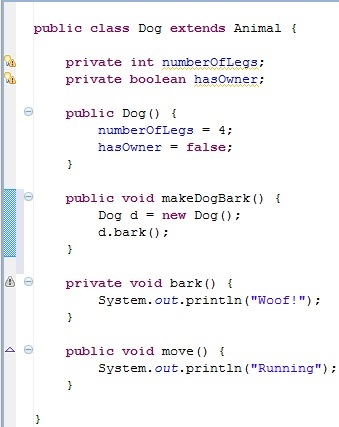 Notice how the makeDogBark() method creates another dog, and then calls that dog's bark() method. You can always call a method from a class if you are already inside that class, regardless of what object you're working with! The bottom line is, you want to use private access modifiers for when you don't want to be able to call methods or reference variables from anywhere. 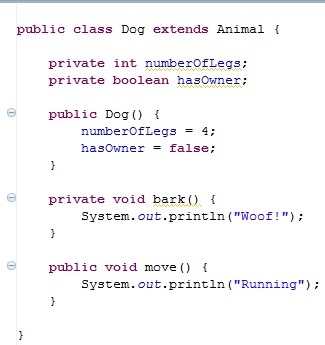 In the picture, you will see that Animal has a protected eat() method, and Dog, since it's a subclass, can call that method. Chair on the other hand is not a subclass and is also not in the same package as Animal, so it has no access to eat() when it tries to use it. As mentioned, any class in the same package as the class also has access to the method, but we won't touch on that to much as its a much rarer use case of protected. One of the core strengths of Java is being able to handle different levels of access modifiers so that your code is a lot more readable and maintainable. It also helps to reinforce a programmer's wishes as to what can and what cannot be done. It helps to provide a certain organization of code that helps other programmers to read it, as well as helps you remember what you'd like to and what you'd like not to be able to do with your code. If you'd like to see a table that shows which modifier gives what kind of access, I highly recommend Oracle's page on controlling access to members of a class. It even has tips on which access modifier you should use! That concludes this tutorial. If you have any questions, comments, or concerns about Java access modifiers, feel free to contact us. Leave Java Access Modifiers and return to Java Made Easy!